Three weeks ago we asked you for feedback on an initial round of Mozilla Community Theme mockups and we received plenty! Then, we started sorting out what we got and preparing a plan for improvements. This, of course, is still just an option set, since you can go beyond that and use the color set you want. We’re currently preparing a guidelines document for you, which should help you work with the sources once they’re public. We’re working on the template for other webtools (like forum, wiki), we’re preparing sources for publishing, and we’re open to hear your feedback once again on what do you think about this theme, so let us know what you think! 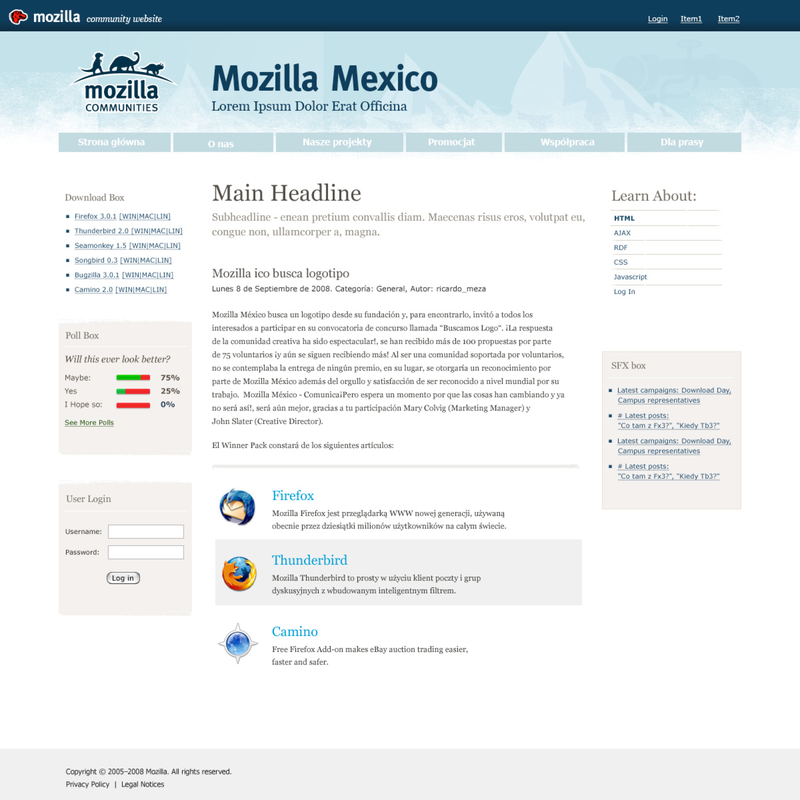 That’s much better theme IMHO, but some of us will still prefer to use the Mozilla logo, and I hope it will be possible. Does this theme looks right in small devices? As we are going into mobile, there is a need for mobile version of our sites, so some @media rules will do the magic. Please include the icons in source format (SVG…), so people will be able to tweak it easily. I love the color theme templates and the logo! Great work… can’t wait to see our communities adapting this. Wow, so nice!!! We’re going to create a community site for Vietnamese. Hope we will have this theme available soon.